Compare and Save upto 60% on Travel Insurance! Over 30 Top Insurance Companies + Quotes in less than a minute = Satisfaction guaranteed! Shopping smart means saving smart! Smart shoppers know that saving money on travel insurance involves 3 Cs - Comparing, Compiling and Cherry-picking. Talk to an Insurance Advisor today, and go places! Our insurance advisors make a difference and we stand by that. You want coverage options, discounts and offers that make sense for you and that's why PolicyBachat's smart tools and technology help you tailor an international travel insurance policy that's right for YOU, not someone like you. So, say goodbye to tedious hold times, wearisome discussions and the need to spell out your needs to an insurance advisor… PolicyBachat's advisors are quick, efficient, friendly and well-informed of the insurance market, the rules that govern them and will scrupulously help you understand the fine print without squinting! An average doctor's consultation fee in the US costs about $250.00 which equals Rs. 15,000.00. Medical costs in the United States are much higher than anywhere else in the world. According to a study released by AXA in 2013, the average cost in the US is more than double that of Singapore - the world’s next most expensive country. "Having no travel insurance in place and a medical emergency is a disaster. Not only could it be detrimental to your finances but also to your overall success in a land you want to prosper in. Consider the cost of medical care in the country that you are visiting and make sure to purchase insurance coverage that well exceeds the cost of one or more major injuries or illnesses. We recommend at least $100,000 in medical coverage outside of the US and at least $250,000 if you need US coverage." Understanding and deciding on insurance can be time-consuming and rather perplexing. Allow PolicyBachat to work for you. 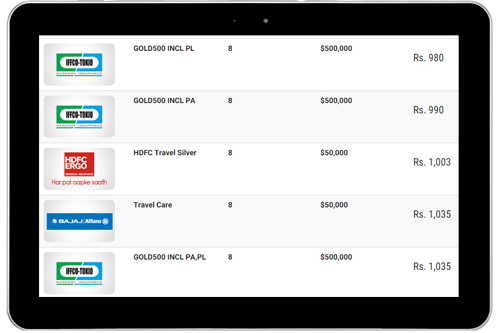 With an apples to apples comparison, we remove the complexity of researching, comparing and selecting an apt insurance policy with a user-friendly display of premium rates, coverage options, discounts and offers from each of our 30 plus affiliated Insurance companies – all presented in an arrayed form. Staying well informed by understanding options and costs will keep you from landing on troubled waters! Smart options would be features like cashless facility, network hospitals near your campus, claim settlement procedure and past record of insurer – since you will be foreign to a foreign land. Medical mishaps are often caught off-guard and could be due to several reasons such as change in the environment, lifestyle, mental stress and various other causes. 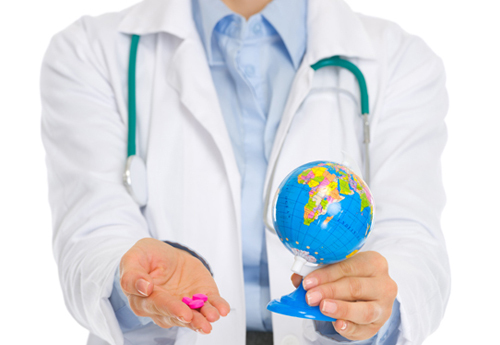 It's no surprise that medical treatment costs abroad are much higher than in India. Fortunately, student plans are specifically designed to reimburse costs related to non-medical exigencies, thereby keeping an eye on unbudgeted expenses that could lead to financial setbacks.